Wondering what type of boots you should invest in this season? Here at The Idle Man we like to give our readers the best selection and styling advice possible. Thanks to this quick and easy guide you'll find everything you need to get yourself a top pair of Chukka boots. It's extremely important for every man out there to have a varied selection of shoes to choose from. Footwear has the power to make or break an outfit so today we'll be focusing on a menswear classic: The Chukka boot. 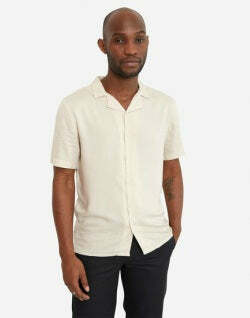 This is a piece that needs to have a firm place in your wardrobe and if you don't have a pair already or you're looking to freshen up an excising pair, you've come to the right place. Once you reach the bottom of this guide, you'll be ready to purchase the perfect pair for you. And as always, we'll throw in some styling ideas to give you a bit of inspiration for your outfits. We couldn't possibly start your search without answering the fundamental question that no one seems to have the answer to. So fear not, we can solve the mystery. More often than not, when talking about Chukka boots, people have desert boots in mind. And they're not entirely wrong. 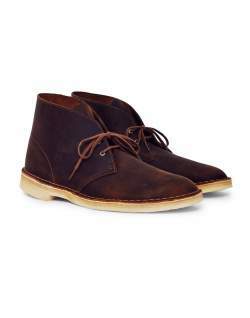 In fact, all desert boots can be classified as Chukkas. However, just when you're starting to think that there's no difference between the two, it gets a bit trickier. And that brings us to a deeper examination of these boots' shape as the Chukka style has some features of its own. Unfortunately, the desert boots street doesn't go both ways. Not all Chukkas can be described as desert boots but all desert boots can be Chukkas, confusing right? But, as a matter of fact, desert boots are a specific kind of Chukka boot - that's why all of them can be included in this broader category. These boots owe their name to polo matches, with chukka being a period in this sport. It's more likely that their association to polo is due to players wearing them after rather than during matches. However, they became extremely popular after the Duke of Windsor wore them in 1924 on occasion of a visit to the U.S. After that these boots steadily continued to gain a large number of fans throughout the 40s and 60s. These boots usually feature two or three eyeholes, leather soles and thin laces and can be more generally described as ankle boots because of their height. 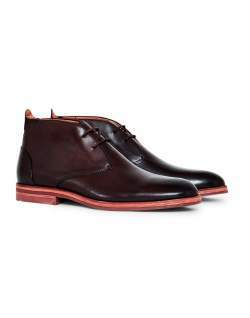 The quintessential Chukkas traditionally come in dark brown. 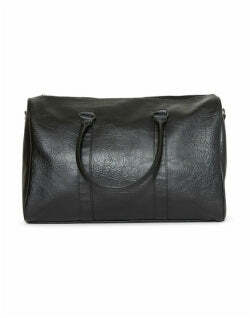 However, you can find them in a broad range of different leathers, usually suede or calf. Now that we've shed some light on what makes a Chukka boot a Chukka boot, it's time to have a look at some of the best pairs available to you. Whether you prefer a classic pair or you're all about functionality, we have different option3s for you to choose from. Knowing what brands are best is always a good start when choosing your footwear as you want a pair that's both stylish and one that will last you a few seasons. There's no point investing in boots that are going to fall apart as soon as you wear them out the house. If you're looking to get your hands on the real deal, with a pair of Hudson Chukkas, you'll have the most iconic and durable boots around without breaking the bank. Made from strong, natural leather and featuring a multi-layered sole, these boots are a safe investment that will surely pay off for years to come. Choose from either a leather pair or opt for the suede options but either way you'll have a style that'll suit loads of other wardrobe staples. Just in case you want to go for a more premium feel, Red Wing boots are right up your street. Thanks to a contemporary design that still deeply references the practical needs of true outdoorsmen, these Chukka boots are the perfect mix of technical footwear with a stylish and heritage feel. The colours are rich and look good with a pair of blue jeans and checked overshirt. Even though Chukka boots are a smart option, it doesn't mean that they can't be comfortable. With their subtle stitching and smooth surface, you have an elegant yet easily wearable pair of boots. However, if you're more interested in owning an ultra comfortable and good quality pair of Chukka boots, then Timberland boots are just what you need. 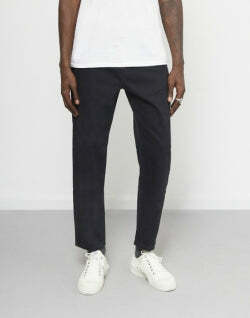 With their relaxed look and smooth fit, you'll be able to easily work them into any outfit. And, like most shoes, you need to wear them in a few times before they really mould to your feet and become your go to option, because we all know how much you love the pair you seem to wear everyday and they must have taken some wearing in. Leather Chukka boots looks slick and suave and they're fairly easy to care for, but if you're looking for a pair that's a little more casual then a suede pair will be the option to go for. The most important thing about suede shoes is knowing how to properly care for them so you can wear them for as long as possible. Caring for your suede shoes is easier than you may think as you can buy shoe protector spray that can easily be sprayed over your new suede shoes. As well as protecting the suede shoes, the same can be done for your leather chukka boots as you will want to keep the material hydrated and looking fresh. A leather protector can be polished or sprayed on to the shoes just as easily as you would for the suede. Since desert boots are also part of the Chukka family, it's worth having a look at some quality men's desert boots. Starting off as a top favourite amongst WWII soldiers, these boots were mainly introduced to the commercial masses by Clarks in 1949. Clarks dessert boots always feature crepe rubber soles, double eyelet and thicker laces, desert boots have successfully transitioned from the African desert campaigns led by the British army to the feet of men all across the globe. Black desert boots are without a doubt the most versatile ones out there and you'll be able to dress them up with suit trousers or down by simply wearing a pair of jeans. 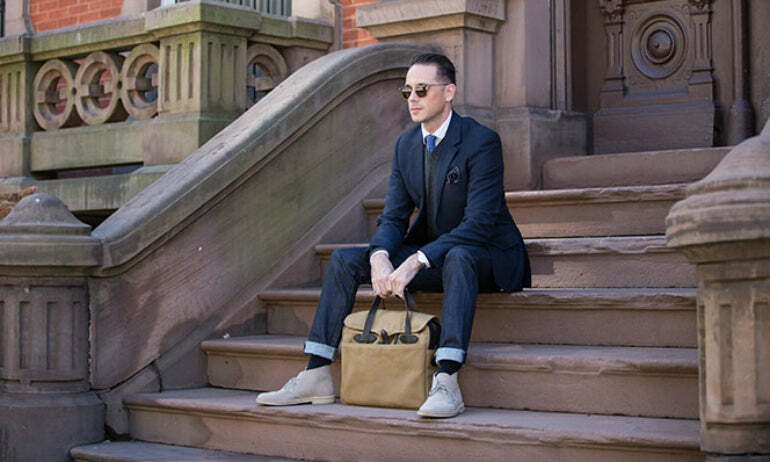 So if you want to know how to wear chukka boots, or desert boots, it's pretty simple. For a smart casual take on your Chukkas, you can pair them with a denim shirt and slim chinos. This outfit allows you to play around with some layering combinations so that you can fight off the cold temperatures in style. A T-shirt, shirt and jacket combination is a popular layered look that goes well with the boot style. If you want something smarter, swapping the casual chino's for a pair that's a little smarter in colour like navy or back and pairing with a simple shirt will give you a smart casual look. Just remember to keep the trousers fairly slim and make sure they don't hang over the boot too much - after all, you want people to see your new boots. All desert boots are Chukkas but not all Chukkas are desert boots - hard to grasp, but once you've got it, you will be an expert in no time. The key features of the boot are two or three eyeholes, leather soles, calf or suede uppers, thin laces and are ankle-high. 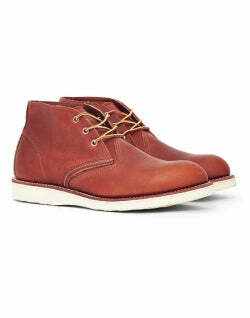 There are many Chukka boots on the market, Clarks being the originals that started off the entire trend. Red Wing and Hudson are some of our other favourites. Styling the Chukka boot is easy - smart casual autumn/winter layering essentials: a quilted jacket, denim shirt, smart trousers and of course, the Chukka boots. It's safe to say that Chukka boots are an absolute staple piece in men's footwear. And now with so many different options and brands for you to choose from, getting the right pair that'll suit your personal style and fashion needs will be a piece of cake. Whether you're planning on taking them for a walk in the woods or to the pub for a drink, these boots are made for walking, and that's exactly what they'll do.